There are two City owned parks in the Triangle, St. Joseph’s Park and Van Rensselaer Park. 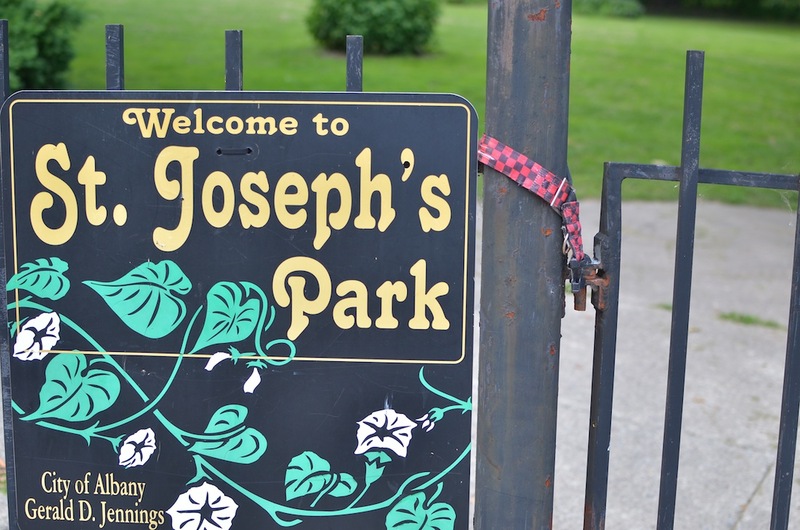 St. Joseph’s Park is on the south side of St. Joseph’s Church and serves as the neighborhood’s dog park, flower garden, and holiday park. It is kept by very dedicated neighborhood gardeners, who work thankless hours to plant and maintain the park’s beautiful flowers. 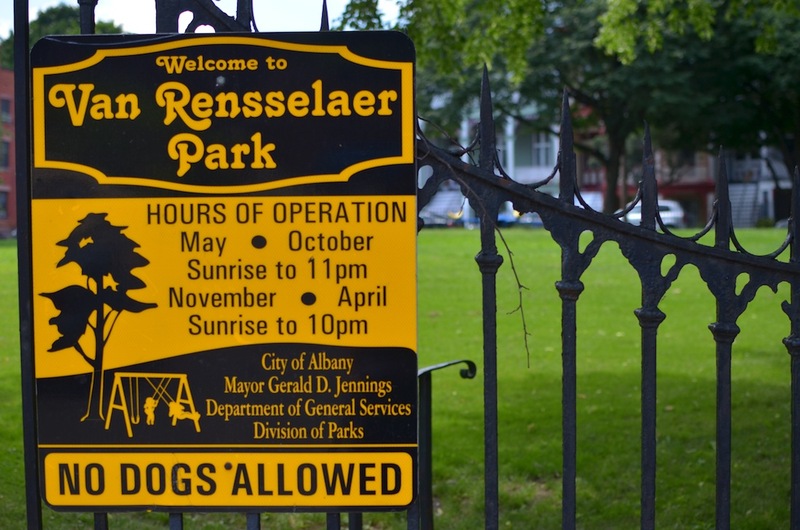 Van Rensselaer Park is on the north side of St. Joseph’s Church and serves as the neighborhood’s children’s park, with picnic benches, slides, jungle gym, and merry-go-round. Families can be found in the park nearly year round making use of the park’s open space. 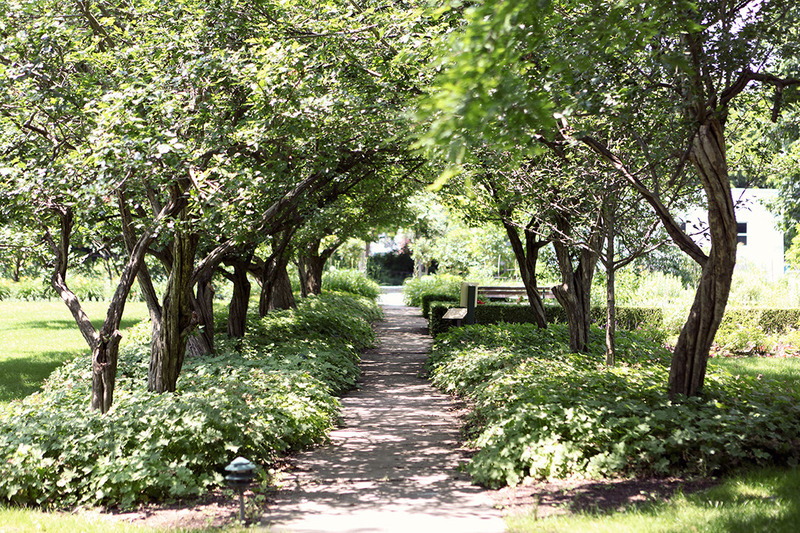 The Ten Broeck Mansion also maintains a beautiful garden which is open to the public and contains an amazing array of flowers and an immaculately maintained landscaped lawn. 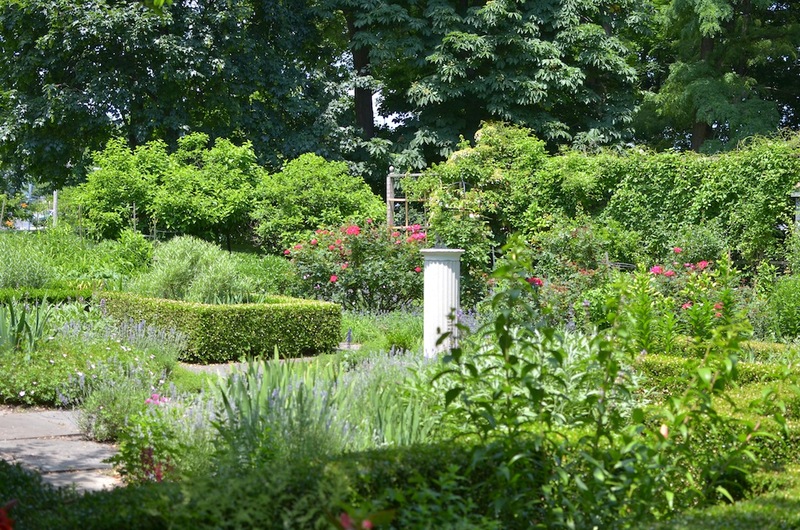 The garden can be rented for a small fee and used for private events.